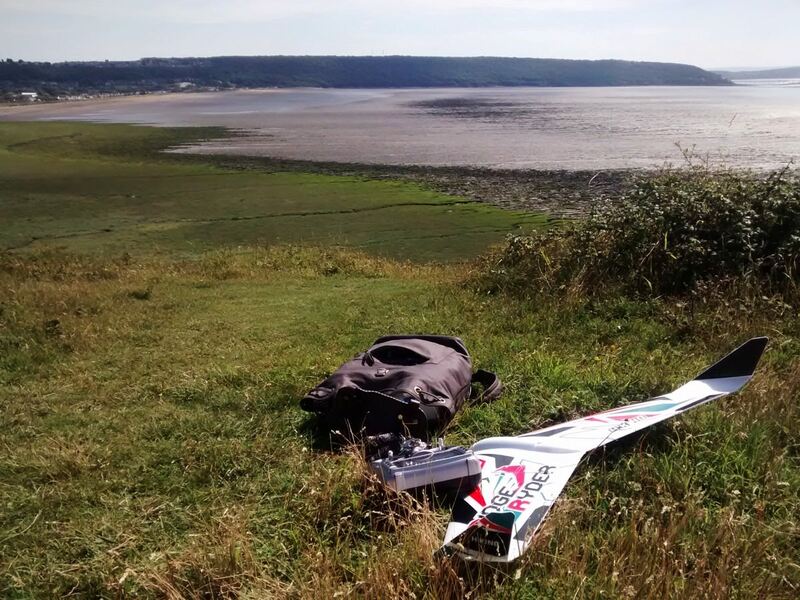 WMFC Members' Forum • View topic - A flying wing in prickly bushes at Sand Point - retrieve? A flying wing in prickly bushes at Sand Point - retrieve? I wanted to use those windy days to my advantage, so I got a flying wing. I took it this afternoon to Sand Point at Kewstoke, throw the wing down and it eventually flew up! I stayed in the air for about 40 minutes, learning how the slope lift works, had a few dramatic moments, but pushing the stick down to get speed saved me all the time. It's so difficult not to pull up in hopes to make it go up, but in fact stall it and crash it. Well, so I had two loooong flights and I thought this was one of my BEST RC experience and in the third flight the wind blew my hat off. That made me want to land quickly and and I panicked and got the wing too far behind me downwind like I would do with a powered plane, only to realise that there is no power on this one to get it back! Pushing the stick down made the plane hover land exactly vertical straight into some inaccessible prickly bushes. I can go trough the grief of loosing a brand new plane, but I feel very guilty about littering National Trust site with a foam mess. So I was wondering if I could borrow the club's pole to retrieve the model? The problem is, that the model is not visible, but is like 2-3 meters in the bushes (may be the NiMh battery will last for a few to days, to hear the servos moving and I can pint point the direction via transmitter telemetry), so I would need to attach some kind of mirror at the end, or even better, some FPV camera to see where the model exactly is and then somehow fish it out. I would be very grateful if there would be someone so kind to help me out with that? I'm free tomorrow evening if you want a hand retrieving the model. Say 6pm onwards. Can meet at the club or out at sand bay. Let me know. The plane is saved! After negotiation that horrible bush, suffering a few scratches and crawling in the bushes. Many thank to Richard for helping me out! Well, as I become really liking this style of flying, the wind has dropped! Almost no wind tomorrow!